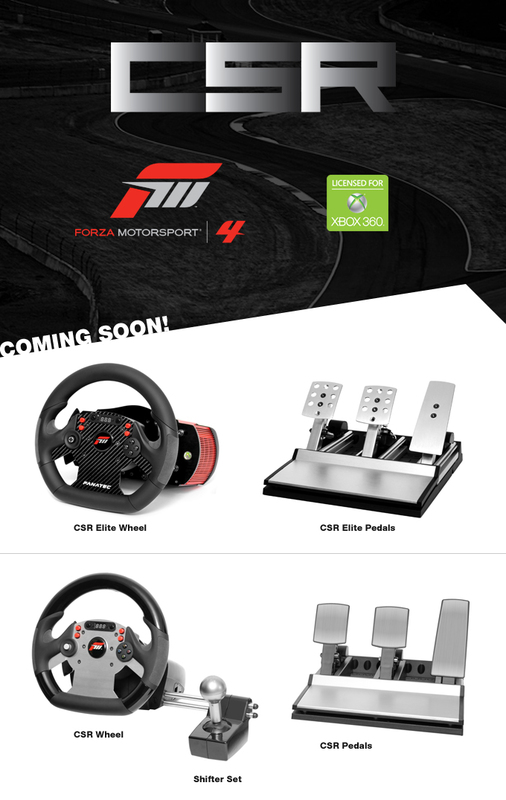 Microsoft, Team 10 and Fanatec has joined forces to create the Forza Motorsport CSR Wheel. Fanatec are best known for making steeling wheels for consoles such as the Porsche 911 Carrera Wheel but this special edition looks amazing. Details about the wheel after the jump. Forza Motorsport CSR Steering Wheel Base. Main Quick guide (PC & XBox 360) + additional insert for PS3. Audio adapter cable for Xbox 360 headset.